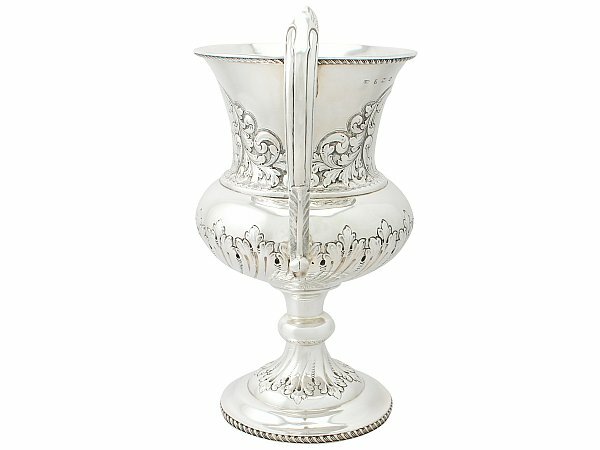 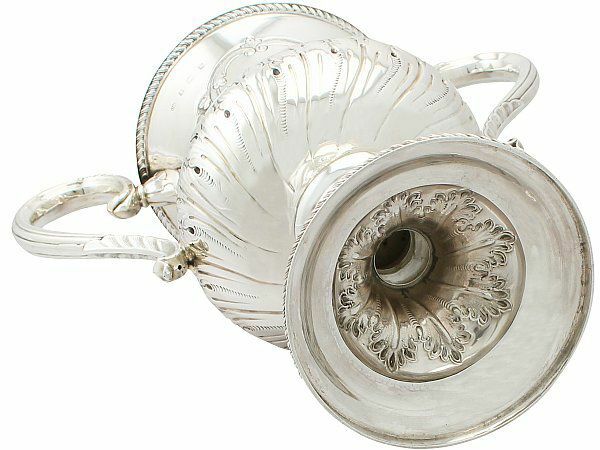 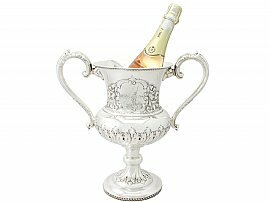 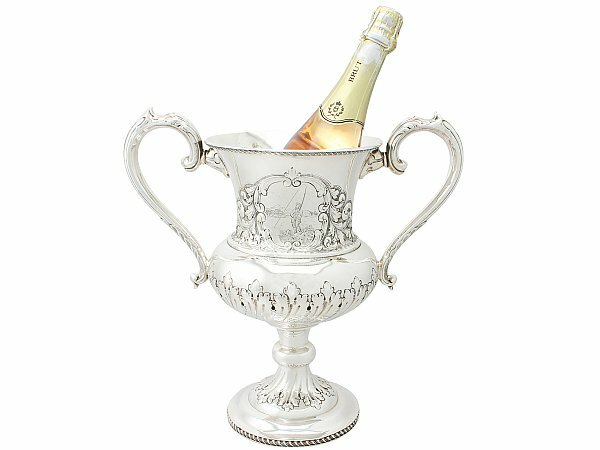 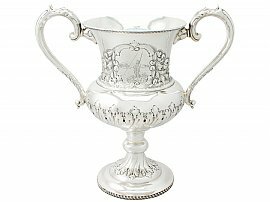 This exceptional Edwardian sterling silver presentation cup has a campania form onto a knopped pedestal to a circular spreading foot. The body of this antique cup is ornamented with impressive embossed scrolling acanthus leaf decoration to either side of the two scroll decorated shaped cartouches. 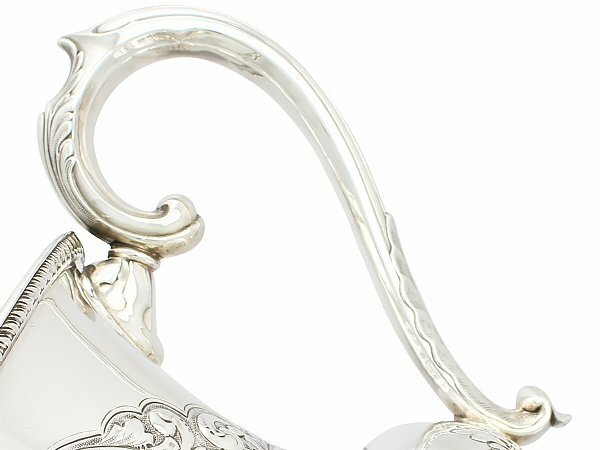 The shaped cartouche at the other side of the cup remains vacant. The rim of the cup and foot are both embellished with a gadroon style decorated border. 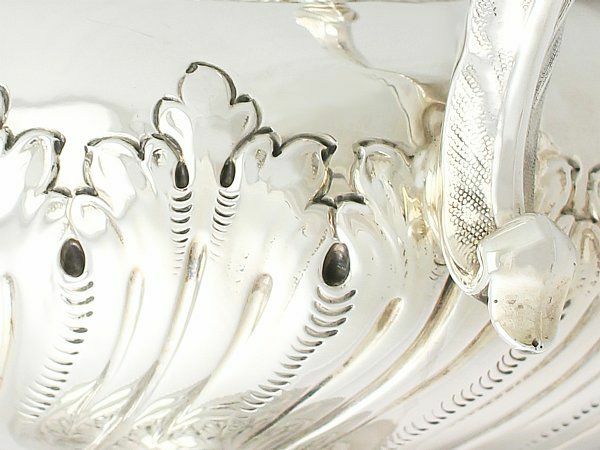 The lower portion of the body and the upper portion of the spreading foot of this Edwardian trophy are embossed with impressive leaf decoration in a subtle swirl design. 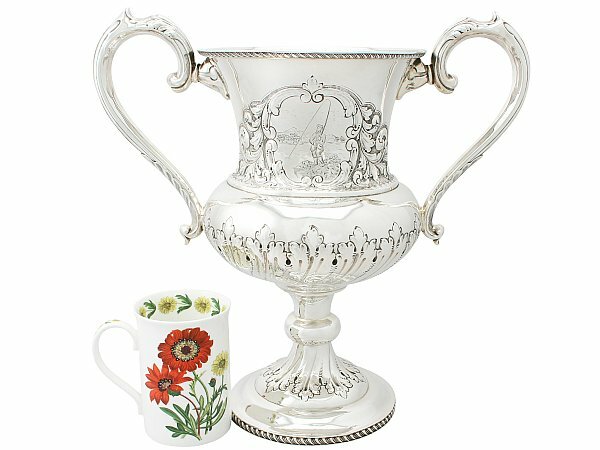 This fine cup is fitted with impressive S scroll handles, ornamented with applied chased acanthus leaf decoration and scrolling thumbpieces. 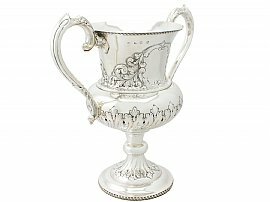 This impressive example of Edwardian silverware was crafted by Charles, Alfred Henry and Francis Herbert, trading as Charles Harrold & Co. If required, this antique cup could be supplied with a bespoke ebonised black plinth with sterling silver plaque or band, suitable for a personal engraved inscription. This service would take approximately 6 weeks, whereas the cup can be dispatched separately prior to completion. 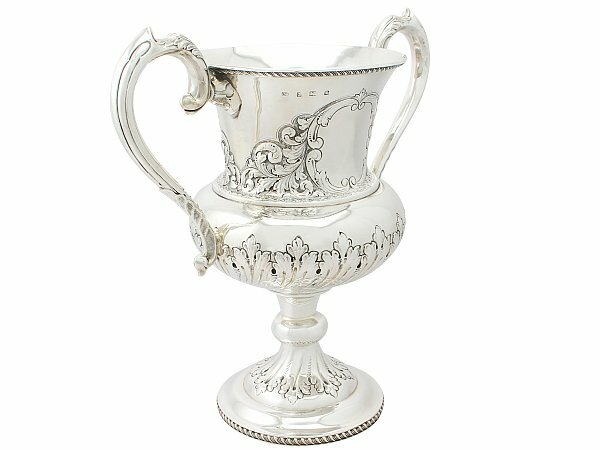 This antique Edwardian cup is an very good gauge of silver, fine quality and in excellent condition. 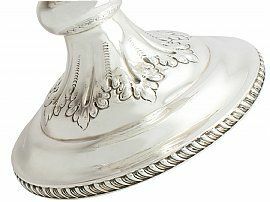 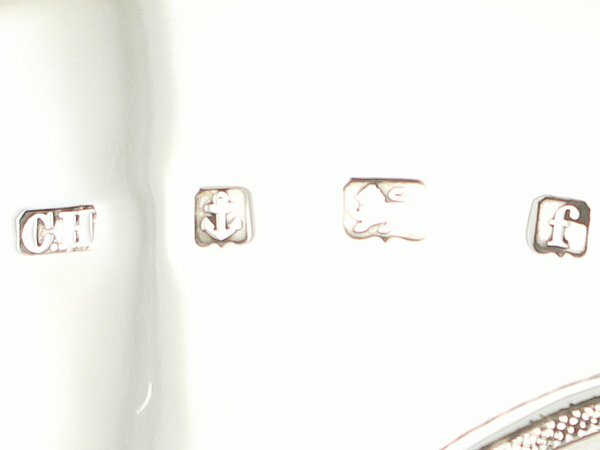 The embossed and engraved decoration is very sharp and crisp. 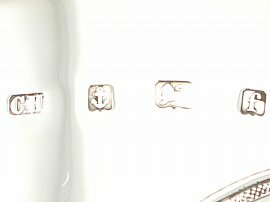 Full hallmarks struck to the surface of the cup are all very clear. 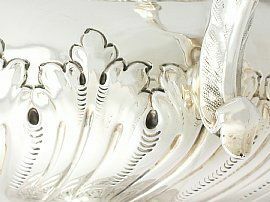 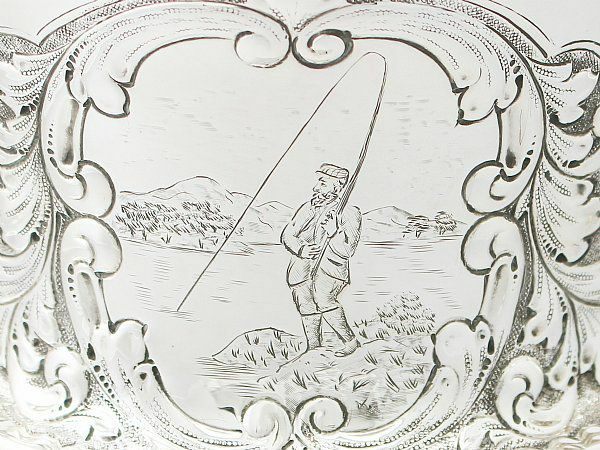 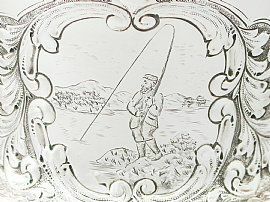 Reflections in photographs may detract from the true representation of this piece if Edwardian silverware.